Geojit Franchise is a well known broking franchise business head-quartered in Mumbai. 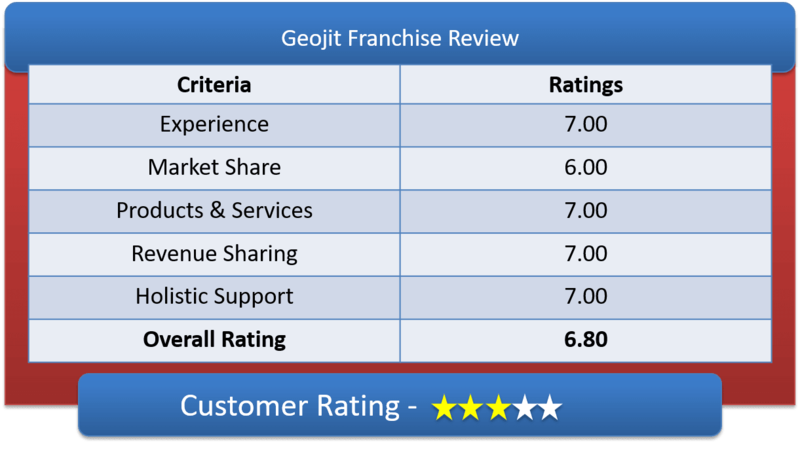 Lets have a detailed discussion on Geojit Franchise Review & in-depth understanding of Geojit Sub Broker offerings, Geojit Franchise Revenue Sharing Models & other features of Geojit Partner Program. Geojit is a retail financial company and has 30 years of experience in capital market. Thus, they had been through tough times of bear market and also survived the destructive phase. About 9,00,000 clients as of now and 34900 crore of asset under them for management. It is now present in 19 states and 2 Union Territories in India. Backed by strong shareholders like BNP Paribas, Mr. Jhunjhunwala and many more. They have with time learned the art and craft of capital market. They provide sub broker with multi-channel services like, internet, mails, phone calls, etc. wide network and brand name makes them the right choice for sub-broker. For trading they have their own inbuilt application. The researchers and the users found their trading application to be very handy. Geojit have regional area and there they provide training pertaining to trading, client handling, company’s ethics and so on. They have their own marketing team thus getting client through them is something one should not be expecting. Research and advisory is free of cost to sub-brokers. Lets have a in-depth understanding of Geojit Franchise Revenue Sharing Model & their Initial investment requirements. Revenue sharing ratio is 60:40 initially, that means the sub broker keeps 60 percentage of the brokerage generated and Geojit keeps 40 percentage of the brokerage generated. This revenue sharing can be increased with time and that depends on effort, entrepreneur quality and client base. If a franchisee is able generate brokerage up to 2 Lakhs per month, then its share would be 60% of brokerage. If a sub broker can generate revenue from 2 to 5 Lakhs, then his/her share can be upto 70%. Again, if a partner generates more than 5 Lakhs of brokerage per month, he/she can share upto 80-85% also. In Remisier, the revenue sharing ratio is 25:75, i.e. a remisier gets only 25% of the total brokerage generated per month. To initiate the franchise business, a sub broker can initially deposit Rs 50,000. Later, they need to do a total deposit of Rs 1.5 Lakhs as security amount. Geojit is a member of NSE, BSE, MCX-SX, MCX and also registered under SEBI. 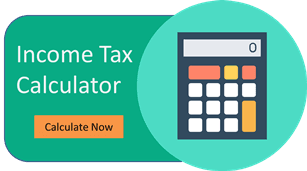 They charge an amount of Rs 2609 (non-refundable) for registration (BSE/NSE). For all the 6 segments, they charge a total of Rs 14160 (non-refundable) for trading. The Franchise owner need to bear the expenses of running the office, phone & electric bills and internet. They also have to invest for a pair of computers, call recording machine, UPS, scanner & printer. The management may help with monetary and marketing collateral’s and also bear 50 percent of the cost, if they can generate good brokerage from the organized events. All the fundamental supports and trainings will be provided by the company’s franchise relationship managers assigned during complete training sessions. The business will help with marketing and branding strategies for better client acquisition and brokerage generation. During the training, the sub broker and their employees will be taught about the trading platforms, trading software, online cash management, business process and business ethics. They have their own inbuilt software and CRM, which is very advance and same time very handy to use for trading and analysis. The company provides support on technical and fundamental training about the procedure and protocol for the financial business. In support, they can help with through Back-office support and Emergency Dealing Room if a sub broker face transaction decline or any issues. This team are available for quickly solving the problem. If a Franchisee wants to do any event in their city, then the management sometimes provide with monetary help and other support for such activity. They will provide the materials like Visiting cards, posters, leaflet, banners, flex, etc. The company is backed-up by giant shareholders. How to become partner with Geojit? Follow the company’s process and procedure to get the franchise registration done in time. The registration process generally takes 15 days’ time, then an individual receives the Franchise code to start their own business. After this, the company will help with the office setup and other marketing and branding materials.